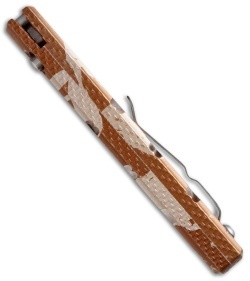 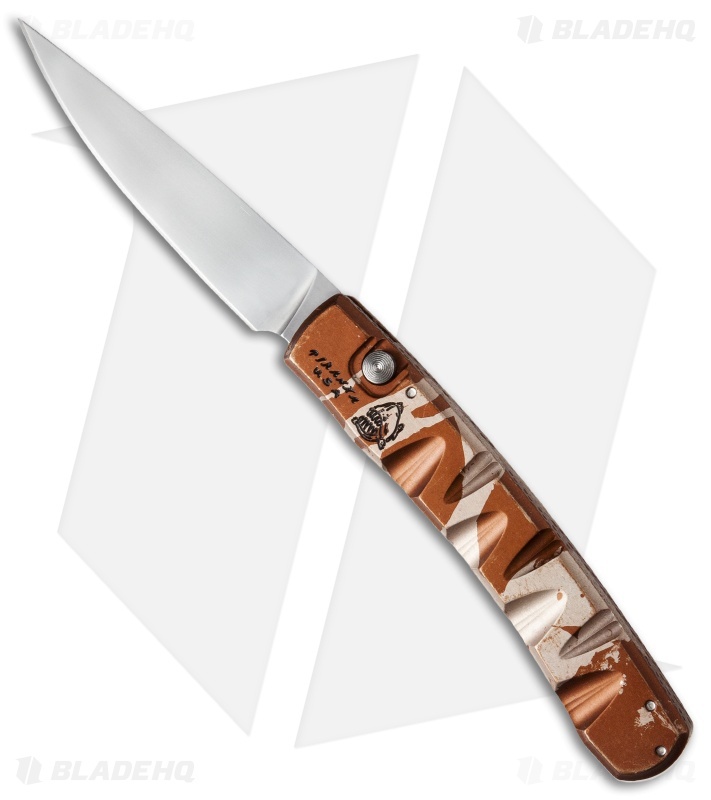 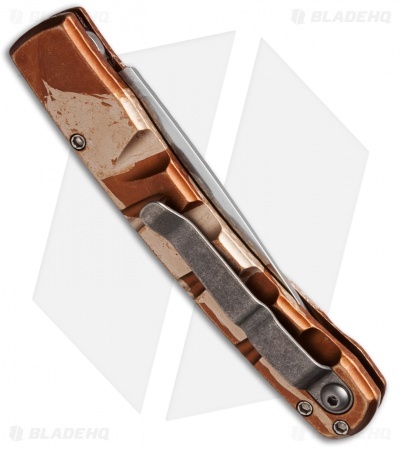 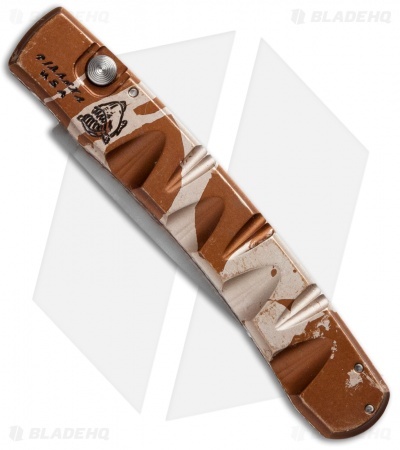 This Virus knife has a mirror finished blade with a plain edge and desert camo anodized handle. I bought this over the Model X and am pleased with the choice. The Virus is extremely light and the S30V blade is a definite upgrade from the 154CM. There is a little side to side play in the blade but not enough to affect the performance of the knife I think Piranha does this so you can't over tighten the pivot screw which is internal and adds life to the coil spring. 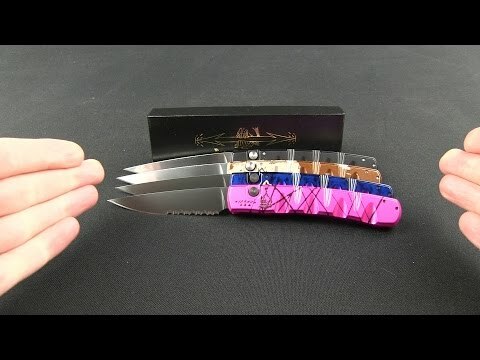 It comes razor sharp out of the box.